I think these are a Cattle Egret and a Grey Shrike Thrush, but not completely sure. Both seen at Lysterfield Lake Park (Vic) early this morning. I know the white one is hard to tell, I have a couple of other shots, but all in the air. There were two white birds were with the seagulls and took off when I came near. It was only I realised that they weren't seagulls. Slightly bigger but not much. This one I saw further up a hill, away from the lake. #1 - I think Cattle Egret, not unusual for them to have black legs. The bill is too short & wrong colour for Little Egret which usually have black bills. 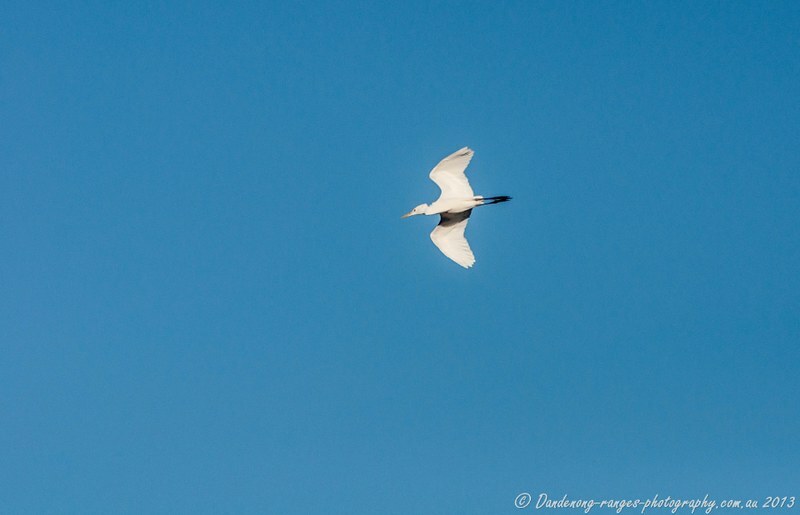 To identify egrets can be tricky... Little Egret bill always remains black but legs are only black when breeding. Cattle Egrets always has a yellow bill and is the shortest bill of them all... CE legs are black when non-breeding, so your photo is a nb Cattle Egret. There is hardly a size difference between Intermediate and Little Egrets and IE have yellow bills and turns pinkish when breeding. So an egret the size of a LE without a black bill, must be an Inermediate. Great Egrets are easy... gape extends well behind eye and neck is distinctively kinked rather than smooth curves. 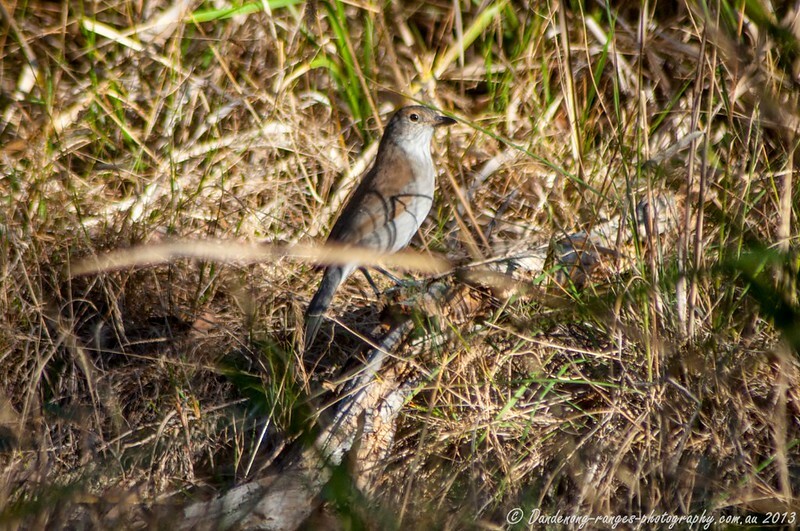 Grey Shrike-thrush is correct for your other photo.